On April 1, the Homeless Children and Youth Act (H.R. 2001) was reintroduced in the U.S. House of Representatives by Congressmen Steve Stivers (R-OH) and Dave Loebsack (D-IA). This bipartisan legislation corrects long-standing flaws in U.S. Department of Housing and Urban Development (HUD) homeless assistance for children, youth, and families. Get the facts about the Homeless Children and Youth Act, including frequently asked questions, the full text of the legislation, and a list of supporters. On March 28, sixty-eight U.S. Representatives signed a bipartisan “Dear Colleague” letter in support of funding for the McKinney-Vento Act’s Education for Homeless Children and Youth (EHCY) program and the Runaway and Homeless Youth Act (RHYA) programs. Find out if your U.S. Representative signed the letter, and learn what you can do to support FY20 funding for these vital programs. #1 Programs that Provide Targeted Support for Homeless Children and Youth. Background: SHC strongly supports increased funding in FY2020 for the two federal programs specifically targeted to support children and youth experiencing homelessness: the McKinney-Vento Act’s Education for Homeless Children and Youth program (EHCY) and the Runaway and Homeless Youth Act (RHYA) programs. The EHCY program removes barriers to the enrollment, attendance, and success of homeless children and youth in school. Without this specific, targeted assistance, homeless children and youth are unlikely to benefit from any investment in education, and are at much higher risk of experiencing homelessness as adults. The RHYA program serves homeless youth by meeting their immediate needs, providing long-term residential services, and conducting prevention and outreach efforts to move youth out of homelessness. Without emergency and transitional housing and crisis intervention, homeless youth are at even greater risk for trafficking and other life-threatening conditions. Current Status: Congress has begun work on the FY2020 budget and is in the process of developing FY2020 appropriations bills. Action Needed: Please contact your U.S. Senators and U.S. Representative in support of the only two federal programs specifically targeted to supporting homeless children and youth – the McKinney-Vento Act’s Education for Homeless Children and Youth program (EHCY) and the Runaway and Homeless Youth Act (RHYA) programs. Meet with your Members of Congress, or their staff, when they are back in the district during the upcoming district work periods. If you’d like advice on setting up a meeting, please contact us, and we’ll be happy to help. If a meeting isn’t possible, send a letter and getting as many community members as possible to sign it. We’ve created a sample letter in Microsoft Word that can be personalized with local or state information. Download the letter, edit it, and send one version to your U.S. Representative, and one version to both of your U.S. Senators. #2 The reauthorization of the Higher Education Act. Background: Youth experiencing homelessness and youth from foster care face unique barriers to accessing and completing higher education. Lack of family and supports, coupled with histories of neglect, abuse, trauma, mobility, and deep poverty, create roadblocks to their path to and through post-secondary education. Yet higher education is their best opportunity for economic independence and healthier lives. The upcoming reauthorization of the Higher Education Act provides a critical opportunity to remove barriers and increase supports for college access, retention, and completion for homeless and foster youth. Current Status:: On March 13, 2019, bipartisan, bicameral legislation was introduced to remove barriers to higher education access and success caused by homelessness and foster care. The Higher Education Access and Success for Homeless and Foster Youth Act of 2019 (S.789/H.R.1724) was introduced by U.S. Senators Patty Murray (D-WA) and Rob Portman (R-OH) in the Senate, and by U.S. Representatives Katherine Clark (D-5th/MA) and Don Young (R-At Large/AK) in the House of Representatives. Read more about HEASHFY, and watch a SchoolHouse Connection Young Leader testify before the Senate HELP Committee on higher education barriers and solutions. Action Needed: Please urge your Members of Congress to co-sponsor HEASHFY. We’ve created two sample letters in Microsoft Word – one for your U.S. Senators, and one for your U.S. Representative. Please download the letters and personalize them with local or state facts, as well as your own perspectives and experiences. Contact information for U.S. Senators may be found here. Contact information for U.S. Representatives may be found here. If you represent a local, state, or national organization, please sign your organization on as a supporter of the bill by filling out this form. #3 Reforming HUD Homeless Assistance for Children, Youth, and Families. Background: The definition of homelessness used by the U.S. Department of Housing and Urban Development (HUD) excludes most children and youth whose families pay for a motel room, or who must stay with other people temporarily, because there is nowhere else to go. These situations are unstable and often unsafe, putting children and youth at high risk of trafficking and violence. Other federal agencies and programs recognize that children and youth staying in these situations are homeless. But under HUD’s definition, these children and youth are not even assessed for services. In addition, HUD has imposed strong federal incentives and requirements for certain housing models, like Rapid Rehousing, and for certain populations, like chronically homeless adults, that do not match all communities’ needs. Even when communities identify greater needs for other populations or program models, they must adopt HUD’s national priorities in order to be competitive for funding. HUD Homelessness Assistance has not been reauthorized in a decade, and must be updated to meet the needs of children, youth, and families, and to prevent future adult homelessness. Current Status: The Homeless Children and Youth Act (HR 2001) was introduced on April 1. This bipartisan legislation removes these barriers to HUD Homeless Assistance for children, youth, and families. More information about the legislation may be found here. Action Needed: Please urge your U.S. Representative to sign-on as a co-sponsor of H.R. 2001.1. Call your U.S. Representative’s office and ask for the person who handles housing. Tell them why you support HCYA, and urge the U.S. Representative to sign on. Ask for the staff’s email address to send a follow up email. Contact information may be found here.2. Write a letter to your U.S. Representative. Fax it or deliver it to your U.S. Representative’s local office. You can download this sample letter in Microsoft Word and personalize it with local or state information. Contact information may be found here. 3. Be sure to sign your organization on as a supporter of HCYA here, and spread the word to community partners, colleagues, and others. Take action by March 26 by sending “Dear Colleague” letters to support funding for homeless children and youth programs. “Dear Colleague” letters provide critical and time-sensitive opportunities for federal funding advocacy. They are requests from members of Congress asking other members of Congress to show their support for funding for certain programs. On Friday, February 15, the President signed FY2019 appropriations legislation to fund nine federal agencies (funding for other federal agencies was enacted last September). On September 26, the U.S. House of Representatives passed H.R. 6157, the FY2019 appropriations bill for education, early care, and human services. The measure increases funding for the McKinney-Vento Act’s Education for Homeless Children and Youth (EHCY) Program by 10%, building on last year’s increase of 10%. This marks the first time in the history of the McKinney-Vento Act that funding for the EHCY program surpasses the authorized funding level. On September 14, 2018, a House-Senate conference committee on FY2019 appropriations struck an agreement to increase federal funding for key education and early care programs. The measure, H.R. 6157, would increase funding for the McKinney-Vento Act’s Education for Homeless Children and Youth (EHCY) Program by 10%, building on last year’s increase of 10%. On June 28, the Senate appropriations committee passed S. 3158, a bill that would increase FY2019 funding for the McKinney-Vento Act’s Education for Homeless Children and Youth (EHCY) program by 10%, from $85 million to $93.5 million. The bill maintains funding for the Runaway and Homeless Youth Act (RHYA) program at $127.3 million. The bill next moves to the Senate floor for a vote. Thanks to your advocacy, programs for homeless children and youth received significant funding increases in the FY2018 budget. Congress now turns in earnest to the FY2019 budget. We must continue efforts to ensure that these vital programs receive support. The recently enacted FY2018 omnibus funding legislation includes historic increases for programs serving homeless children and youth, including an increase of over 10% for the McKinney-Vento Act’s Education for Homeless Children and Youth program, and a 7% increase in funding for the Runaway and Homeless Youth Act program. Learn what was enacted in the FY18 budget, and find out what’s next for the FY2019 budget. Over 70 U.S. Representatives signed a “Dear Colleague” letter urging robust FY2019 funding for the Education for Homeless Children and Youth (EHCY) and Runaway and Homeless Youth Act (RHYA) programs. The bipartisan letter, which was spearheaded by U.S. Representatives Danny Davis (D-IL), David Reichert (R-WA), John Yarmuth (D-KY), and Jeff Denham (R-CA), signals strong support for both EHCY and RHYA programs. Meanwhile FY2018 funding levels have not been finalized. A critical and time-sensitive opportunity for appropriations advocacy is a “Dear Colleague” letter. Dear Colleague letters are requests from some members of Congress to other members of Congress, asking them to sign-on to show support for funding for certain programs. Please contact your U.S. Representatives NOW to urge them to sign on to the Davis/Reichert/Yarmuth/Denham letter. The fiscal year 2019 budget process kicked off this week with the release of the President’s FY2019 budget proposal, and yet Congress still hasn’t finalized funding levels for FY2018. To help provide clarity, we present basic information about the status of the FY2018 and FY2019 federal budgets, proposed funding levels for programs serving children and youth experiencing homelessness, and recommended advocacy steps. Early this morning, Congress passed budget legislation to keep the government open until March 23. The legislation provides nearly $90 billion in emergency disaster relief for states and communities affected by recent hurricanes, wildfires, and other disasters, and contains a two-year agreement setting defense and nondefense spending levels for FY2018 and FY2019. Programs that Provide Targeted Funding for Homeless Children and Youth. Summary: FY2018 funding for the only two federal programs specifically targeted to supporting homeless children and youth – the McKinney-Vento Act’s Education for Homeless Children and Youth program (EHCY) and the Runaway and Homeless Youth Act (RHYA) programs – hangs in the balance of the broader budget debate. Both House and Senate FY2018 appropriations bills provided flat funding for these programs ($77 million and $119 million, respectively). Current status: Congress has delayed decisions on FY2018 funding until February 8, 2018, when the most recently passed Continuing Resolution will expire. Action Needed: We urge you to communicate with your U.S. Senators and U.S. Representative in support of EHCY and RHYA funding. We’ve created a sample letter in Microsoft Word. Download the letter, edit it, and send one version to your U.S. Representative, and one version to both of your U.S. Senators. Disaster Assistance for the Education of Homeless Children and Youth. Summary: The disasters that occurred in 2017 are increasing the number of homeless children and youth: public schools have enrolled at least 46,000 newly homeless children and youth as a direct result of the 2017 hurricanes alone – a number that is expected to continue to increase. The McKinney-Vento Act’s EHCY program provides an efficient, existing infrastructure to serve these students. However, schools face significant costs in meeting the needs of newly homeless children and youth, including transportation, counseling, basic and school supplies, and staff time. Current status: On December 21, the U.S. House of Representatives passed H.R. 4667, an $81 billion disaster relief package. As part of $2.9 billion in emergency assistance funding for schools and colleges, the legislation includes $25 million in McKinney-Vento funding to help children and youth who are homeless and displaced due to disasters. The bill also includes $200 million for institutions of higher education located in an area affected by a disaster, with a requirement for the U.S. Department of Education to prioritize assistance for college students who are homeless as a result of displacement, and for institutions that have sustained extensive damage. In addition to education funding, the disaster relief bill contains $650 million for Head Start, for necessary expenses directly related to the consequences of Hurricanes Harvey, Irma, or Maria. The U.S. Senate did not take up the measure before it adjourned, leaving the ultimate fate of the disaster assistance funding to be decided in January. Read more about the need for supplemental disaster assistance to meet the educational needs of homeless children and youth. $25 million in McKinney-Vento funding to help children and youth who are homeless and displaced due to disasters. $200 million for institutions of higher education located in an area affected by a disaster, with a requirement for the U.S. Department of Education to prioritize assistance for college students who are homeless as a result of displacement, and institutions that have sustained extensive damage. On May 23, President Trump released his Fiscal Year (FY) 2018 budget proposal. The President’s budget proposal is just that – a proposal that signals the Administration’s priorities for the nation. However, Congress ultimately will define the budget. Congress determines funding levels for individual federal programs, as well as overarching budget issues (such as caps on discretionary and non-discretionary funding). Last week, the Consolidated Appropriations Act, 2017 (H.R. 244) was signed into law, wrapping up the FY2017 budget. H.R. 244 funds federal education programs for the 2017-2018 school year. Although the final FY2017 budget increases funding for education and homeless programs, prospects for the FY2018 budget may be much different. Without an agreement on how to reconcile larger budget issues, such as caps on discretionary and non-discretionary funding, the prospect of both targeted and across-the-board budget cuts in FY2018 looms large. Congressional negotiators have reached an agreement on legislation to fund the federal government for the remainder of Fiscal Year (FY) 2017. The final FY2017 appropriations bill includes increases in federal funding for homelessness programs, including a 10% increase in funding for the Education for Homeless Children and Youth (EHCY Program). As expected, the federal budget will take center stage in Congress over the next weeks and months. 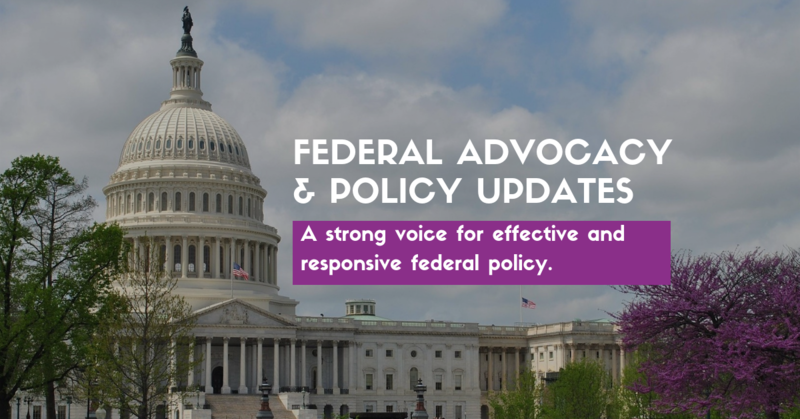 In this post, we explain the current status of federal appropriations, what’s at stake for children and youth experiencing homelessness, and what you can do about it. On July 31, 2018, the President signed a new CTE law that contains multiple provisions to improve access and success for youth experiencing homelessness. On November 3, Reps. Jim Renacci (R-OH), Derek Kilmer (D-WA), Steve Stivers (R-OH), and Seth Moulton (D-MA) introduced the “Preparing Homeless Youth for Education and Employment Act,” bipartisan legislation to provide access to dropout prevention and college and career counseling services to homeless youth. On June 22, the U.S. House of Representatives passed “The Strengthening Career and Technical Education for the 21st Century Act,” HR 2353, which reauthorizes the Carl D. Perkins Career and Technical Education Act. On March 13, the U.S. Department of Education (ED) released a new template for states to use in developing their state plans for the Every Student Succeeds Act (ESSA). The U.S. Senate voted today to rescind ESSA regulations related to accountability and state plans by a vote of 50-49 . The measure now will move to the President’s desk for signature. This action will not affect the ESSA amendments made to the McKinney-Vento Act’s Education for Homeless Children and Youth program, which are in statute, and are in effect now. On Friday March 3, the U.S. Department of Education issued updated Non-Regulatory Guidance on the McKinney-Vento Act. The update consists of the addition of three questions: J-10 through J-12. Today, Betsy DeVos was confirmed by the U.S. Senate as the new Secretary of the U.S. Department of Education by a vote of 51-50, with Vice President Mike Pence casting the deciding vote. There is a critical opportunity to increase access to child care through the state planning process. States must submit their Child Care and Development Fund (CCDF) State Plan for 2019-2021 by June 30, 2018. With a historic $2.37 billion increase in FY2018 CCDF funding – the largest increase in child care funding of all time – it is especially important to find out how you can weigh in to improve child care for families experiencing homelessness. The Child Care for Working Families Act (S.1806/H.R. 3773). Summary: The Child Care for Working Families Act is the Democratic proposal on child care and early learning. Under the legislation, no family under 150% of state median income would pay more than seven percent of their income on child care. The bill also supports universal access to preschool programs for all 3- and 4-year old. Current Status: The Child Care for Working Families Act was introduced on September 14, 2017. As of December 2017, it had 29 cosponsors in the U.S. Senate, and 108 cosponsors in the U.S. House of Representatives. On March 13, 2019, bipartisan, bicameral legislation was introduced to remove barriers to higher education access and success caused by homelessness and foster care. On November 27, the 115th Congress began the reauthorization process for the Higher Education Act (HEA) with a Senate Health, Education, Labor and Pensions (HELP) Committee hearing on simplifying the Free Application for Federal Student Aid (FAFSA). The HELP Committee hearing featured testimony from Elaine Williams, a SchoolHouse Connection Young Leader and remarkable advocate for homeless youth in Richmond, VA. Learn about the hearing, the current status of HEA reauthorization, and the critical link between education, employment, and homelessness. On April 17, the U.S. Department of Education published a draft of the 2018-2019 Free Application for Federal Student Aid (FAFSA) for public comment. The draft FAFSA may be found here. State legislatures across the country are passing laws that empower youth experiencing homelessness to access housing, health care, higher education, and vital documents. In our January 27 newsletter, we wrote about Wyoming’s HB 159, which allows unaccompanied minors experiencing homelessness to obtain their own birth certificates, consent for housing and services, get a job, buy a car, and sign up for college. On July 24, 2018, the House Financial Services Committee passed the bipartisan Homeless Children and Youth Act, H.R. 1511. The legislation, co-sponsored by Congressman Steve Stivers (R-OH) and Dave Loebsack (D-IA), may now be considered by the full House of Representatives. A bipartisan Senate companion bill, S. 611, is led by US Senators Dianne Feinstein (D-CA) and Rob Portman (R-OH). On June 6, the U.S. House of Representatives Financial Services Subcommittee on Housing and Insurance held a hearing to review the Homeless Children and Youth Act (H.R. 1511). A key topic of the hearing was how the U.S. Department of Housing and Urban Development (HUD) definition of homelessness creates barriers to assisting children, youth, and families who experience homelessness. On October 12, U.S. Senator Patty Murray (D-WA) introduced legislation to incentivize housing authorities and school districts to work together to address and prevent family homelessness. The Affordable Housing for Educational Achievement Demonstration (AHEAD) Act (S. 1949) authorizes $150 million for a new demonstration program to be jointly administered by the U.S. Department of Education (ED) and the U.S. Department of Housing and Urban Development (HUD). A powerful new film from HEAR US premiered on June 6 at a Congressional briefing sponsored by the American Psychological Association, the Child Welfare League of America, the National Center on Housing & Child Welfare, and SchoolHouse Connection. Both the film and the Congressional briefing make a strong case for the Homeless Children and Youth Act (H.R. 1511/S. 611), bipartisan legislation that addresses long-standing flaws in federal homeless policy, and makes it easier for communities to help children, youth, and families experiencing homelessness. On March 14, the Homeless Children and Youth Act (H.R. 1511/S. 611) was reintroduced in the U.S. Senate and the U.S. House of Representatives. This bi-partisan legislation would make it easier for local communities to help children, youth, and families experiencing homelessness, and help put an end to the cycle of homelessness. On Wednesday, October 24, President Trump signed into law bipartisan legislation, H.R. 6, the SUPPORT for Patients and Communities Act. This sweeping legislation contains many provisions that could help children, youth, and families experiencing homelessness who are impacted by the opioid crisis, as well as provisions to help all children and youth who experience trauma. On Tuesday, April 24, the Senate Health, Education, Labor and Pensions (HELP) Committee unanimously passed S. 2680, the Opioid Crisis Response Act of 2018. This comprehensive bipartisan bill includes more than 40 proposals from 38 different senators aimed at combating the opioid crisis. Among those proposals are efforts to address the impact of the opioid crisis on children, youth, and families. 2018 was a momentous year for our work to ensure that local, state, and federal systems recognize and prioritize the needs of children, youth, and families experiencing homelessness. Here are SchoolHouse Connection’s 2018 legislative highlights. The first session of the 115th Congress has come to a close. Many bills on child, youth, and family homelessness were introduced in 2017, and will continue to make their way through the legislative process next year. While issues like tax, immigration, entitlement spending, and welfare reform may have significant impacts on homeless children and youth, we’ve summarized twelve of the bills that affect children and youth experiencing homelessness most directly, starting with SchoolHouse Connection’s top legislative priorities. Congress returns from recess this week, and there will be no shortage of activity. Children, youth, and families experiencing homelessness need your active involvement in the legislative process – without local action, there can be no progress.